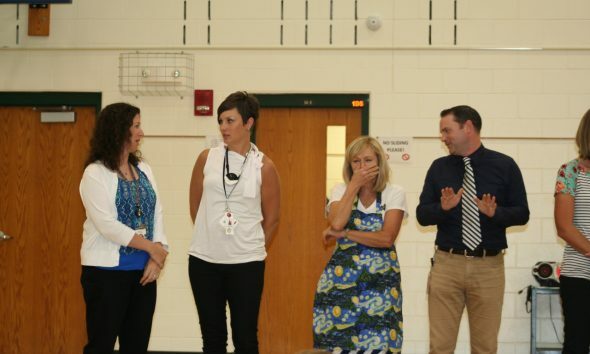 At this kickoff, several teachers and Principal Hull volunteered to play one of the games being sold through the fundraiser, a jelly bean tasting game. Flavors included marshmallow, toothpaste, grass, rotten eggs, sour milk, and more. Can you tell from the expressions whether they chose a good-tasting jelly bean or one that was not as pleasant tasting? View photos from the kickoff.